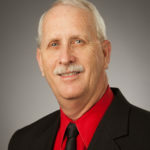 Ronald Martin is a Licensed Professional Counselor-Supervisor in Texas. He currently works at the Texas Tech University Health Sciences Center in Lubbock with the TWITR project providing mental health assistance to adolescents in rural schools. He also provides mental health assessments in local emergency rooms. Ron retired from law enforcement after thirty-seven years. He retired as a Chief and National Chaplain from the Department of Homeland Security, Office of Field Operations, El Paso, Texas in 2013. During the course of his career he served as an instructor and course developer for the National Chaplain Academy presented at the Federal Law Enforcement Training Centers in Artesia, NM and Glynco, GA.